The June 2013 Employment Outlook from Simply Hired reports that job openings have experienced growth for the eleventh time within the past 13 months with a 3.2 percent over-the-month increase in May. The year-over-year increase between May 2012 and May 2013 was an impressive 38.4 percent as job competition also dropped from three unemployed persons to two for each job opening. Nearly 30 percent of the 50 major metro areas also experience improvements in job competition. The leading metro areas in job openings were Sacramento, CA (6.6 percent), Greensboro, NC (6 percent), Salt Lake City, UT (5.8 percent), and Birmingham, AL (5.8 percent). Areas where job competition dropped include Minneapolis, Orlando, Austin, and Dallas, among 13 others. Not top metro area experienced an increase in job competition. 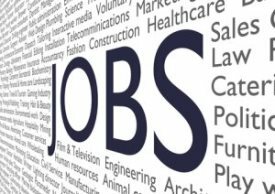 Job openings also increased in 16 out of 18 industries last month lead by the automotive and agricultural industry with rates increasing 19.3 percent and 13.9 percent, respectively. Industries with the largest decreases were real estate (down 1.7 percent) and travel (down 1.1 percent), both of which tend to hire earlier in the year in preparation for summer business. Three quarters of occupations saw a growth in job openings in May with lawyers, judges, and legal support leading the way at 10.4 percent.